For any member of the generations who grew up with Ladybird Books, the mini-hardback format of Ladybird, A Cover Story (Ladybird Books, £14.99) may trigger nostalgia. 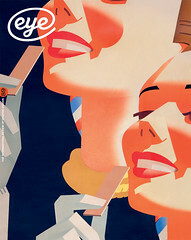 The book reproduces, at 84 per cent of original size, 500 Ladybird covers from the 1940s to the 1980s, the naturalistic images illustrating the social and technological shifts of postwar Britain. Traditional roles – middle-class mothers shopping in elegant suits, policemen directing traffic in white gloves (see ‘Mystery and clarity’ in Eye 52) – were changing. Meanwhile, the covers of The Locomotive (1968), The Road Makers (1967) and Homes (1975) show diesel trains replacing steam, motorways being built and the emergence of high-rise flats. Telephones, televisions and cameras were becoming commonplace, their mysteries explained in the How It Works series. The company motto was ‘a Ladybird book for every subject’. Non-fiction titles covered natural history, history, art, music, religion, science and the lives of ordinary workers. 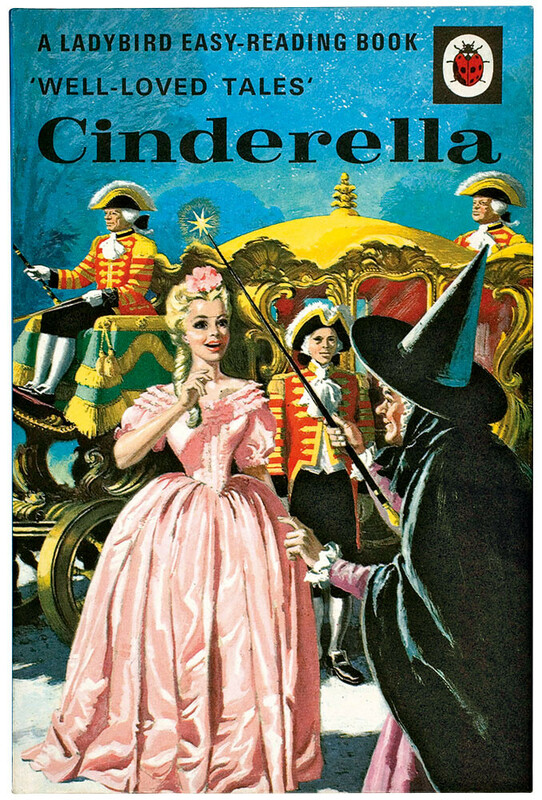 Fiction appeared in the Read It Yourself books and the Well-Loved Tales (the 1964 Cinderella – cover by Eric Winter, above – may be the nation’s favourite Ladybird title). For under-fives there were picture, activity and nursery rhyme books. Most famous is the Key Words Reading Scheme, featuring Peter and Jane. First published in 1964, inspired by the finding that 300 words make up three-quarters of everything we say, it helped millions of children learn to read. The books have been criticised for portraying a white middle-class lifestyle, though illustrator Harry Wingfield often based his pictures on photographs of children on the new council estates that were springing up in the late 1950s and early 1960s. The book juxtaposes titles from different decades, allowing similar subjects to be compared; and the index, listing books by title, series number and name, publication date, author and illustrator, makes it a useful work of reference, as well as an intriguing social record. 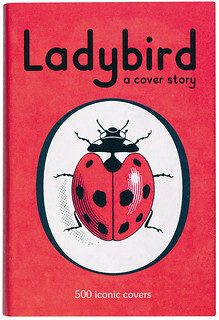 Cover of Ladybird, A Cover Story. Top: 1964 Cinderella – cover by Eric Winter. ‘Mystery and clarity’ in Eye 52. ‘Handy hardback memories’ in Eye 66.